How much does a seamstress charge to make a wedding dress? It’s been a fair while since websites first began offering stylish and affordable wedding dresses to brides on a budget. It’s inspiring to know that although dresses were historically intended as a way of showing off a woman’s wealth, style has overtaken the original emphasis on money, and superior taste regained its proper place. Should You Pay Thousands of Dollars for a Dress? Is it really wise to spend a few month’s worth of paychecks on a dress you’ll wear once? The answer to that question depends entirely on your personal opinion of course. If you believe in genuine style over extravagance, you’ll explore all the options available. The best option for modern brides relies on outsourcing the work of expensive seamstresses to workers that can produce similar products to those of designers, but at a much lower price. While direct knock-offs should be avoided, it’s possible to find a happy medium between style and quality that doesn’t undermine your budget. The results are far superior to what one could additionally afford. We cater to any budget, and keep you constantly informed about the quality of garment you can look forward to on your wedding day. Much depends on the overall look and feel of a dress. That’s why we won’t promise what we can’t deliver. Whether you’re looking at a budget of less than $100 or over $1000, it’s our policy to make sure you know exactly what you’re buying. We’ll submit swatches for your consideration, giving you an idea of the dress’s look and feel. We’re intimately familiar with all aspects of gown-making, including style and cut. We know our Empire-lines from our A-lines. And while we’re aware that couture gowns going for thousands of dollars are exquisite, although we won’t promise you the identical article, we’ll offer you the best deal available for your price-range. The prices we’ll charge are dependent on the quality of fabric you order, but whether you have $100 dollars to spare, or $500, we’ll treat your order as the most important from the moment communicate with us online or talk to us over the phone. The object of our custom dress company is to create something memorable and special to you at the best available value. As much as we love couture pieces, we feel that they aren’t after all, unique pieces. Let us provide you with something that isn’t mass-produced. What we really love, is supplying you with a completely different experience to anyone else in the world. Traditions are important too. Think back to the photographs of your grandparents and how content they were to be attired in the best they could afford. Nowadays, the possibilities for manufacturing an affordable dress of impeccable style are much greater, and offer a much higher standard. So there’s no need to pay a fortune these days. We’re equally open to making a simple, stylish dress that you can accessorize afterwards, many times the best option for those brides who prefer to add their own twist to simple tastefulness. Clean and simple lines are often the best way to go. While custom gowns used to be a luxury, available to the select few, we’re able to breathe new life into your grandmother’s dress-concept or create a dress that’s specific to your own body-shape. Why not consider a modern option or bring back an art deco concept you love? We’re open to any suggestions and have plenty of our own if you ever need advice. If you’d like to create a close copy of something you’ve already tried on in a bridal salon, we’ll be able to help you with that too. Before you give the go-ahead though, we’ll give you enough information to feel at ease with your decision. So there you have it. Regardless of whether your budget is large or small, we’re hopeful that we’ll leave you feeling just as special as the most extravagant brides in the world. You’ll be able to look forward to the same quality standards you’ll get from local seamstress, but for a better price. We’ve vetted our suppliers and make use of only the best workmanship available worldwide. 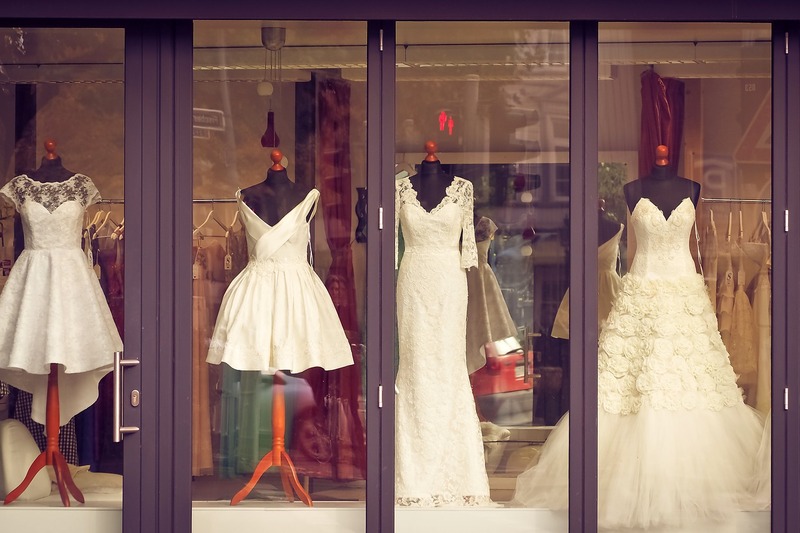 While we know that price-range effects quality, our job is to supply you with the best you can afford, and you won’t have to worry about whether you’ll wear your wedding dress again. If you have questions relating to the price of the dress you’re considering, get in touch with us soon. We’d love to assist you. Get a custom gown hand-made from My Dear Bride. Enter your email to start. Hello and welcome to My Dear Bride. Browsing our site, you will be able to find the most beautiful, elegant, and glamorous wedding dresses on the internet.